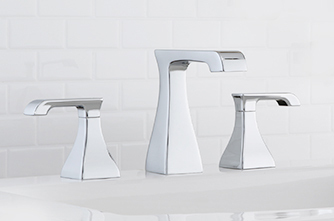 Flawlessly sculpted to complement your personal style and preferences, our faucets and shower systems strike a balance between design, functionality and value. 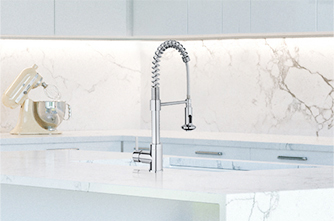 Our kitchen faucets unite performance engineering with timeless design sensibilities and quality materials, offering unparalleled performance for years to come. Ideal for household cleaning tasks, this versatile assortment finds its place in any laundry room or utility area. rigorous quality control procedures and meet or exceed industry standards. 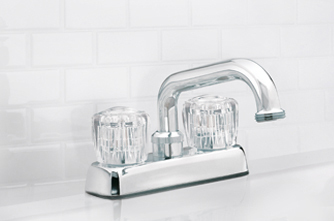 WaterSense® labeled fixtures meet the water efficiency specifications set forth by the Environmental Protection Agency (EPA) and help reduce water usage, without sacrificing performance. Meets or exceeds the product safety and performance standards of the Canadian Standards Association. Products bearing the cUPC® mark are listed with the International Association of Plumbing and Mechanical Officials (IAPMO) and are in compliance with applicable North American codes and standards. Taymor adheres to the Americans with Disabilities Act (ADA) to ensure accessible design for all. Our fixtures are low lead compliant while meeting the National Sanitation Foundation (NSF) standards for lead content unless stated otherwise.